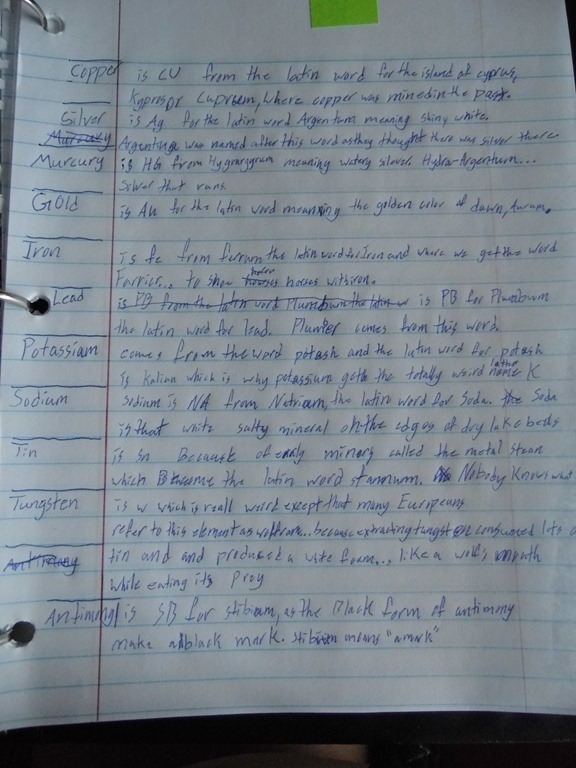 It was an answer to prayer to be able to review Chemistry 101 from The 101 Series this year for our 10th grade son. We had used Biology 101 from Timberdoole for 9th grade and knew that we would enjoy it. 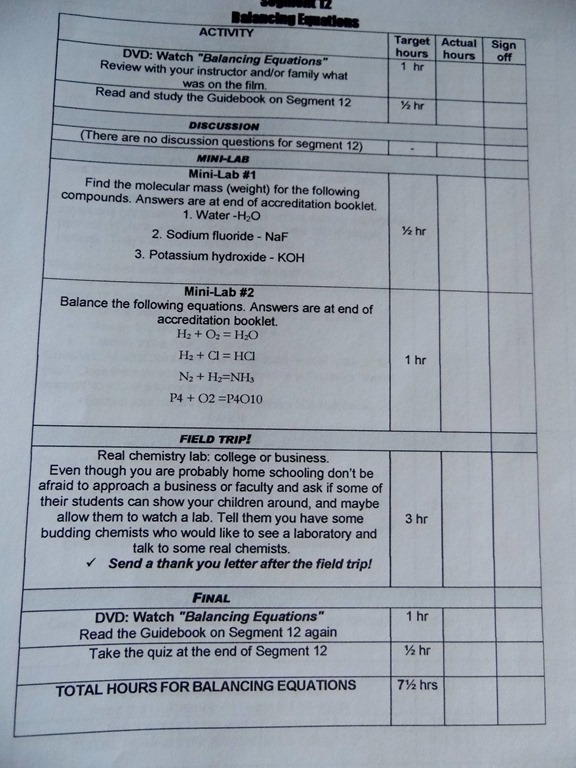 Chemistry 101 is a Christian DVD High School Level Course from Westfield Studios. There are 19 lessons individual segments of video that last from 20-45 minutes long for a total of 11 hours. The four main topics are: The Road to the Periodic Table, Chemistry Essentials, Meet the Elements, and The Future of Chemistry. We started in September of 2013. Using Disk D I was able to download the Guidebook and Accreditation Booklet to our Kindles and the Laptop. I printed out the Course Accreditation Program sheets and set up a schedule for Nate to follow using Homeschool Tracker Plus. The Accreditation Program helps to guide the homeschool student with the expectations of the week. I would read ahead to see what materials we would need on hand. Nate has been working quite a bit this year, so I also took the task of making sure the additional reading books were in the home. This was all the preparation I needed to do to start the class. We would start by watching the DVD as a family. (It is age appropriate for viewing with the whole family). Hubby and I enjoyed the videos quite a bit. All four of us would be murmuring – I didn’t know that – over and over. My son would have quite a few ah-ha moments with some of his projects around the house and on his car, with solvents and metals and plastics. You could watch the DVD’s alone, and consider it a full course for homeschool Chemistry. If you’d like to dig a bit deeper, you could pick some or all of the tasks for each segment. 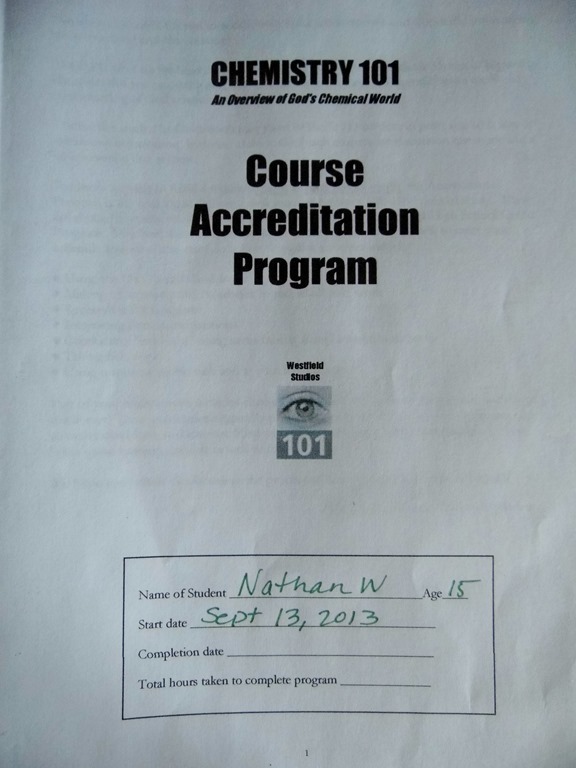 We found that the information we learned was more well rounded and remembered if Nathan finished his Accreditation tasks. If you are needing to log hours, it has the expected times to help you out, or give a time frame for scheduling. I do wish I had printed out the Guidebook at the beginning of the year. We had a laptop loose it’s hard drive, switched out Kindles, bought and sold iPods, etc. Reading the Guidebook electronically was the only thing that was difficult. It would be a nice option, one I’d pay for, to have these printed in a booklet for purchase. The Guidebook has the entire video lesson printed out, not quite word for word, but close. In addition, there are side bar notes, extra questions and quotes, and tid bits of deeper academic information. 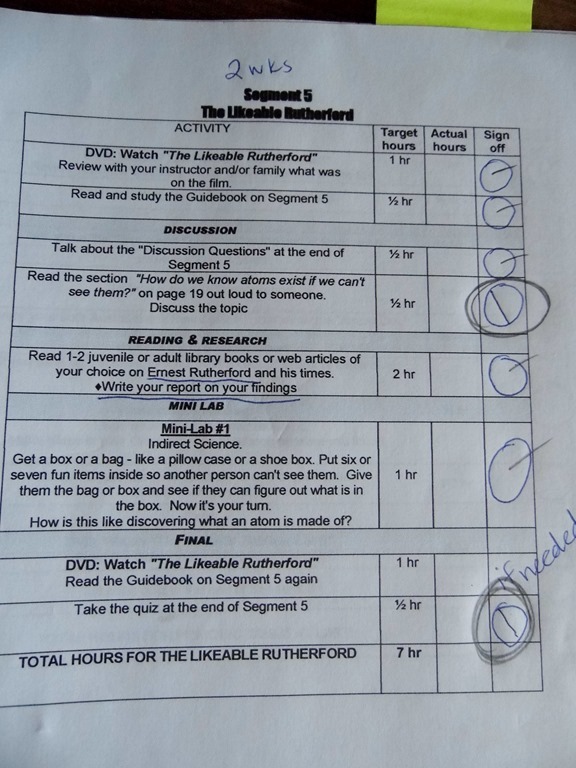 Nate would be reading along, and notice something not in the video, and say it helped him to understand what Mr. Olson was explaining on the video with more clarity. On the activity sheets – there are ideas for field trips, books to read for more history, mini labs, and the reminders to watch the video twice, talk through the discussion questions, read the guide book, and take the quiz. We enjoyed the history of Alchemists, Chemistry, and Elements. We charted some of the course under hour History Hours as well. At the end of the segment is a Quiz. 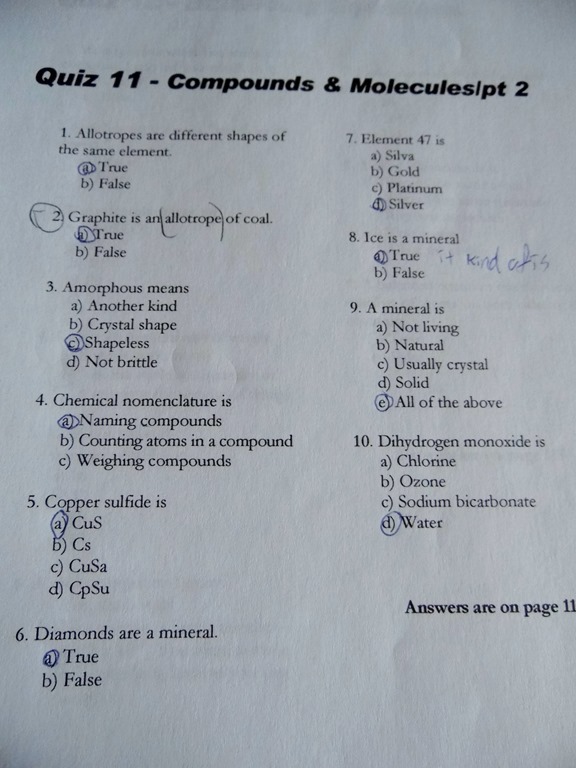 The Chemistry had 19 quiz’s. Quite a few more segments in greater detail than the Biology 101. I’m not sure if it was because we are so familiar with basic biology, but our whole family felt that Chemistry 101 was more challenging, a farther stretch of learning, and more content. This week we will finish the last video and quiz. We took a few breaks from Chemistry this year to pursue other interests, and then would come back. Nate has been working to finish the course before he leaves on Thursday for Younglife camp for 6 weeks. I HIGHLY recommend the 101 Series DVD for your homeschool high school needs. With Biology, Chemistry, and next year Physics – your child will have a solid base of High School Science. The way Mr. Olson weaves observational science through the stories is fascinating. I never felt that he was ‘preachy’ or that every single thing had to be a Sunday School Science Lesson. Creation and God’s amazing designs were well woven into the videos. Science – is Science – It really shouldn’t be Christian Or Secular if it is a great product. It should just be truth. If you have a high schooler in the Public School system, I would recommend these DVD’s as a stand alone to watch as a family so that they will have a solid balance in intelligent design, creation, and God’s amazing plan for the earth. Disclaimer: I received Chemistry 101 from The 101 Series in exchange for an honest review after using it with our 10th grade son. 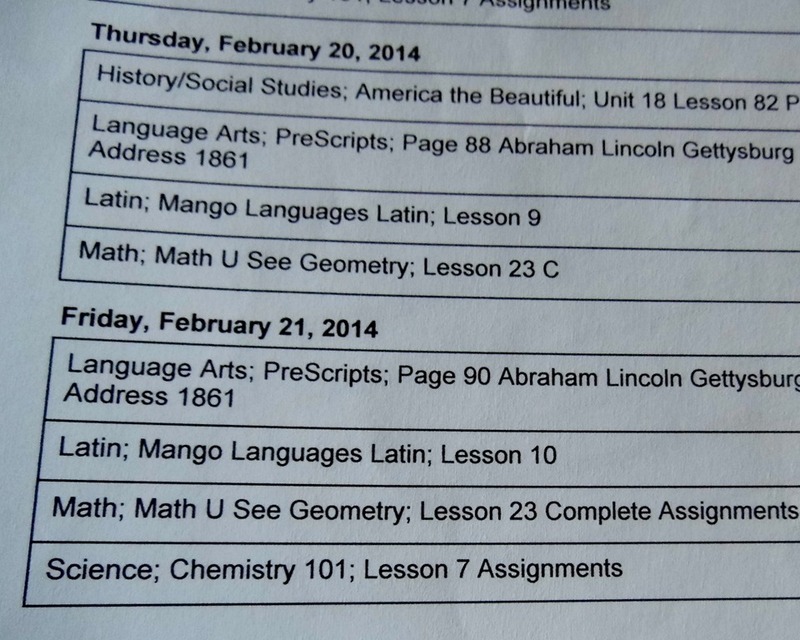 I have used the curriculum for the 2013/2014 school year. This is my honest opinion, I am not an affiliate, I do not receive any additional compensation for my review. 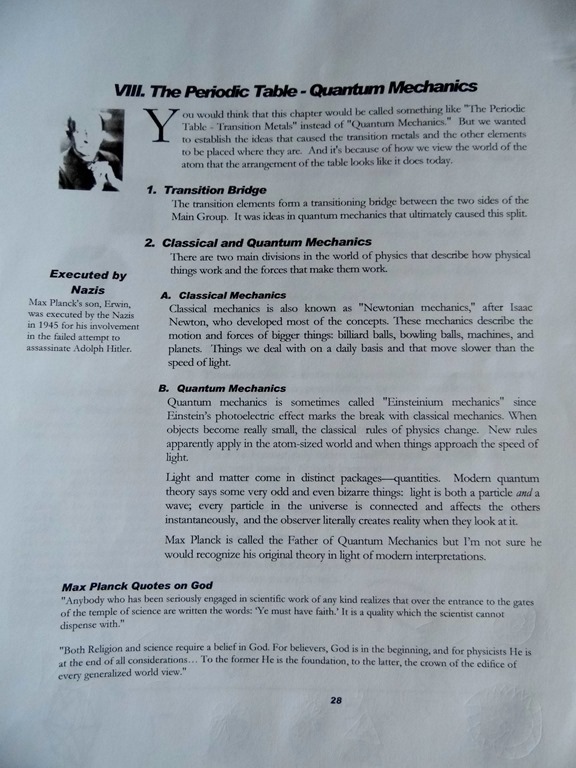 This entry was posted in Reviews, Science, Some Schooling and tagged chemistry, Christian, DVD, High School, HomeSchool, hsreivews, intelligent design, the101series. Bookmark the permalink.